University of California Press, 9780520299931, 328pp. “An informed, sometimes acute, polemic against capitalism's half-millennium of colonial exploitation." "Any good dialectical analysis lives or dies by its synthesis, and Patel and Moore’s is spot on. Particularly, the concept of cheap lives stands out as a novel way to tie the important threads of critical thought on capitalism’s history into a coherent tapestry of how it persists, as well as a way to comprehend and resist capitalism in 2017." 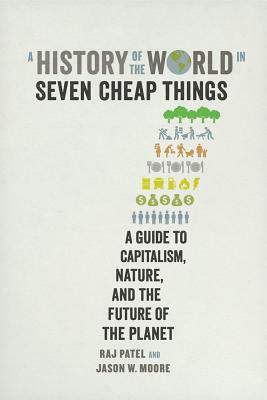 "A provocative and highly readable guide to the early centuries of capitalism."